Chicken Nilaga I think was the very first dish I learned to cook. It is the easiest I think because it’s just practically boiling meat and adding vegetables. 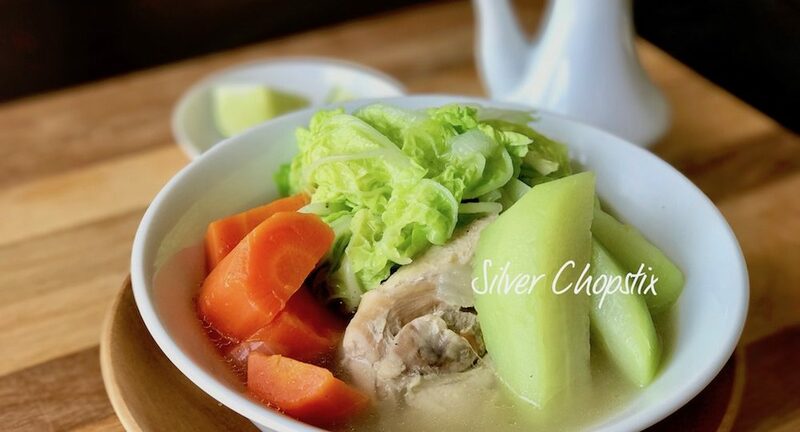 Making a flavorful and tasty Nilaga is another matter. I make nilaga during the Autumn and Winter season when the weather is a lot cooler. Nothing beats a warm bowl of soup on a cold night. 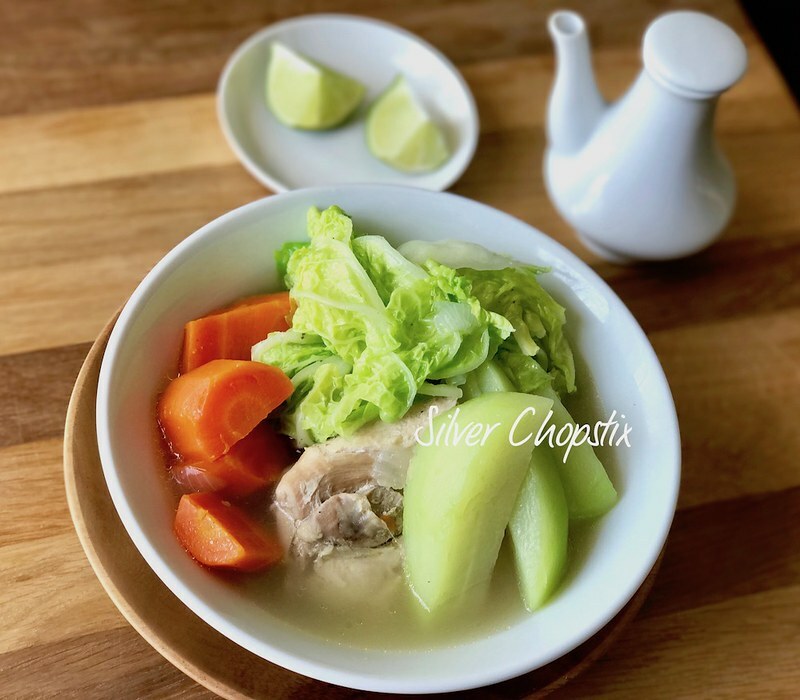 Since our weather is starting to get chilly, I made some chicken nilaga for dinner. First, make sure to use bone in chicken to create a flavorful broth, I prefer to use thighs or drumstick. Place your chicken pieces in a deep pot and add enough water just to cover the meat. Add 1 medium chopped white onion and some peppercorns (if you don’t have peppercorns ground pepper will do). Let this come to a boil then lower the heat and let simmer covered until chicken is tender. Don’t forget to remove scum. Then add your vegetable of choice, you can use white cabbage, napa cabbage, boy choy and even broccoli. Season with salt and pepper. Filipinos by the way like to season this with fish sauce. 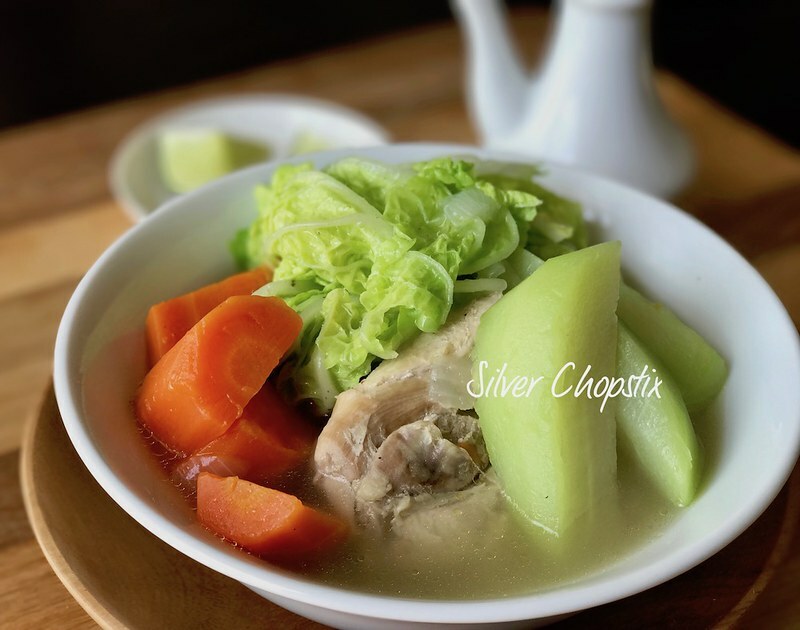 For this recipe I used napa cabbage, chayote and carrots. Cook until vegetables are crisp tender, I don’t like my vegetables to be mushy or too soft. Ladle in deep bowls and serve with rice. My family eats this with a dipping sauce of lime or lemon and soy sauce. Traditionally Filipinos would use fish sauce and calamansi as dipping sauce.